A bathroom rug may seem like a simple addition to your bathroom décor, but it plays an important role in making sure that you step out of a bath safely, looking after your feet and defining your bathroom decor. When you choose a bathroom rug, simply looking at the colour and pattern is not enough. You also need to look at the size, material and the care it requires among other things. 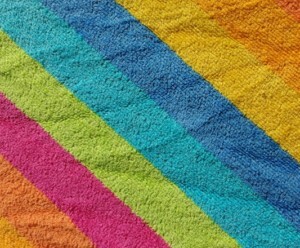 These are the few points you need to keep in mind, when you buy bathroom rugs online. Measure the size of space in your bathroom where you want to place the rugs. A rug outside the bathroom door or right outside your bathtub or shower might need to be bigger while the one outside your sink or toilet could be smaller. Pick a color that blends in with your bathroom décor or redefines it. You could play it safe with solid colours, experiment a bit with patterns or go bold with messages. Also check whether these colours are resistant to fading. 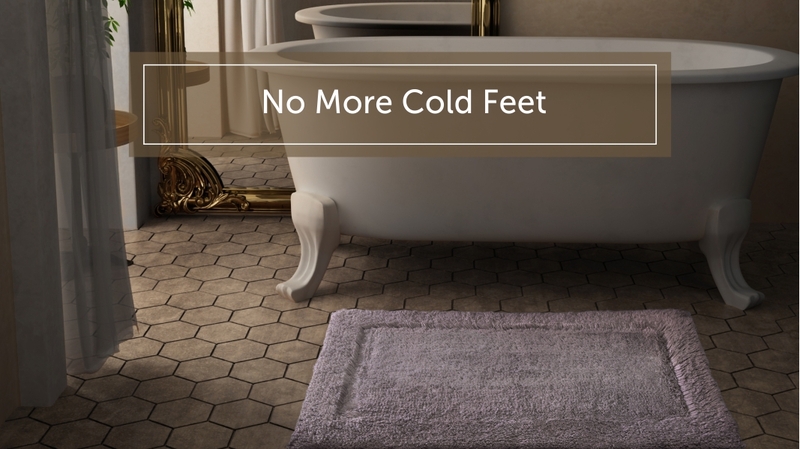 Checking the material of the bath rug is important so that it is gentle on the skin of your feet. Checking the material of the backing is also important so that you know what is sturdy enough to not let you skid. 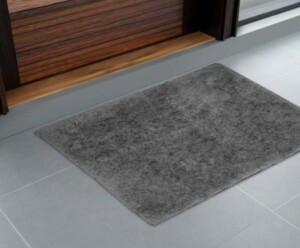 Lightweight cotton rugs are great to place outside the sink or around the toilet so they keep your feet warm and they are so easy to handle that you can place them anywhere you like. The ones with a backing should be placed outside your bathroom door, bathtub or shower. 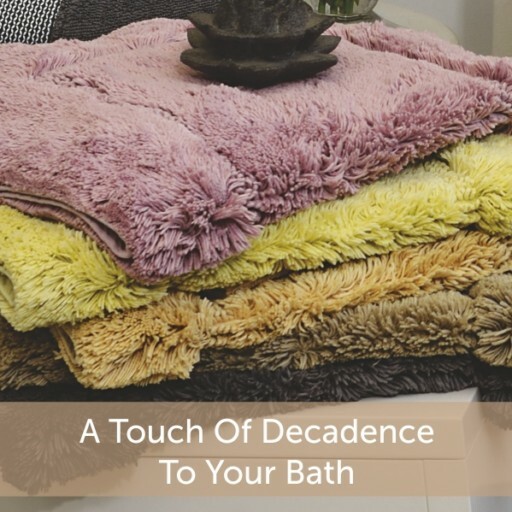 The most popular choice in bathroom rugs is the thick, plush, silky one that comes in solid colours with a classic border. Bathroom rugs also come with ribbed or patterned textures such as a risen damask or stripes texture, which feels therapeutic against your soles. If you want to try something other than solid colours, you could go with geometric or floral patterns. Quirky bath rugs with printed messages on them and sports or movie-themed rugs with digitally printed characters or team logos also add a lot of vitality to your bathroom. Check for the wash care instructions of the bath rug you’re choosing. An easy-to-wash rug is great to maintain, which makes it better for your daily use. Another important feature that you need to take into consideration is the grams per square meter measurement of the rug, which stands for the weight of the fabric per inch of the rug. A higher GSM rug will be more plush and absorbent while a lower GSM rug will be lightweight and quick to dry. Pick the best deal that meets your needs. SPACES.in offers various options for bathroom rugs for different decors and requirements.